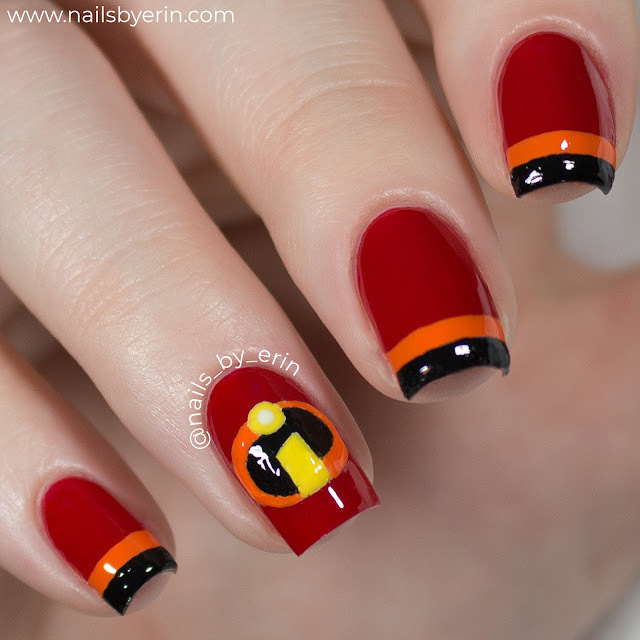 Today I have a really fun Disney nail art design to share with all of you, inspired by the new Disney Pixar movie The Incredibles! Since the sequel just came out, I figured it would be the perfect time to do some nail art inspired by these movies. I actually just saw Incredibles 2 the other weekend with my family and we all loved it! We're all huge fans of the original movie and have been anxiously awaiting the sequel (for 14 years!) Let me know in the comments if you've seen the movie yet, and if you liked it! What was your favorite part or who was your favorite character? So, a little bit about the nails. I started off by painting all of my nails with Color Club "Cadillac Red". 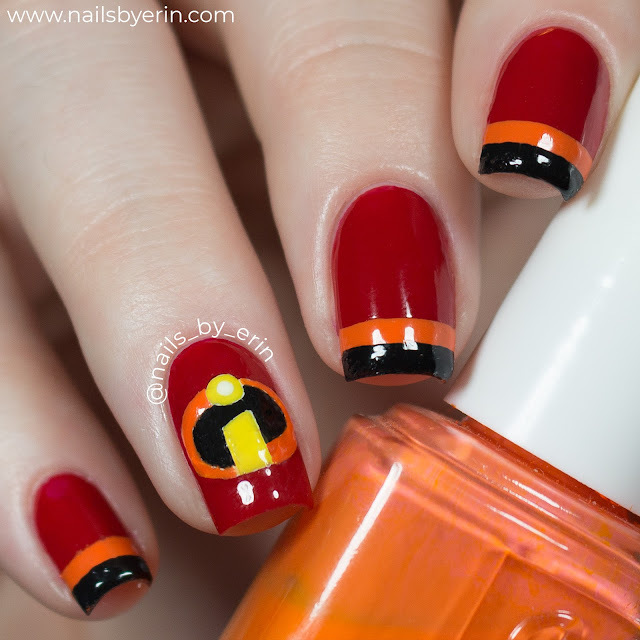 Then I painted the Incredibles logo on my ring finger with black and white acrylic paint, and added the color details with Sally Hansen "Mellow Yellow" and Essie "Fear or Desire". I prefer using acrylic paint for any black and white details because it's as little easier to use, and it's usually less likely to smudge after top coat. Then I used the Straight Nail Vinyls from Snail Vinyls to create some straight lines on my other nails to match the belts on Incredibles' outfits. On my thumb (yes, I did my thumb!) I painted their black mask using black acrylic paint. You can see it in my YouTube video! I really love doing Disney nails so hopefully I'll do some Disney inspired nails more often! I hope you guys like them too. DISCLAIMER: Some of these polishes and/or products were sent to me for review. All opinions are my own. Some links are affiliate links.